OrionCKB helps advertisers drive real, profitable growth from their customer acquisition and retention efforts. With an exclusive focus on direct response advertising, OrionCKB is a performance marketing agency that provides strategy, optimization, and data-driven analysis to maximize ROI and increase revenue from Facebook, Instagram, search and other digital advertising channels. OrionCKB's Creative Solutions Team is comprised of world-class strategic thinkers, copywriters, and designers who believe passionately in uniting creativity and purpose. They begin by developing and testing not a single idea but several campaign themes at once, and use the incoming data to identify the most effective messaging and iterate on the winning concepts in real time. This strategy allows them to quickly abandon what isn’t working and continually optimize what is. The result? Advertising that resonates with your audience and prompts truly meaningful levels of engagement. OrionCKB increases your revenue and maximizes your ROI from Facebook advertising. Instagram advertising can be a seamless extension to your existing social media ad strategy. OrionCKB is one of the few agencies that have had an early foray into advertising on Instagram. Capitalize on their ability to scale your efforts quickly while everyone else is just getting their feet wet. OrionCKB will maximize the value of your ad spend by ensuring you have a strong mobile advertising strategy that targets only your most profitable users on mobile. OrionCKB's PPC Marketing services will increase the volume of search queries, improve ROAS and conversion rates, lower CPA and average CPCs, and fuel CTR. Snapchat's all grown up - and so is its massive audience of Millennials with increasing spending power. OrionCKB is a Snapchat Certified Partner, meaning they've gone through rigorous training sessions to ensure their team knows the platform inside and out. They make it easy and cost-effective to invest in Snapchat ads and turn around meaningful results quickly. OrionCKB turns 280 characters into more quality conversions, more app installs, and better lead-gen opportunities. 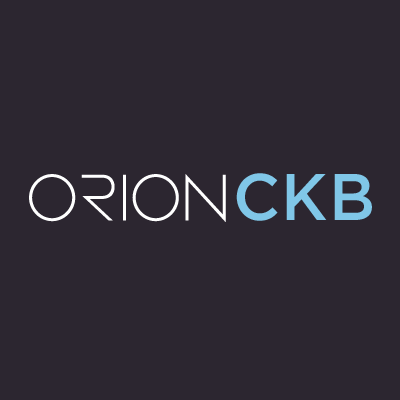 Ahead of the curve on Twitter’s maturing advertising platform, OrionCKB optimizes to deploy your budget more efficiently and push the right message to the right user at the right time, resulting in higher ROI to meet your goals. OrionCKB's Video Advertising services give you a leg up in one of the most effective forms of marketing. By continually optimizing and analyzing the performance of your video ad exposure across screens, your message will reach precise audiences at scale, reducing waste, improving key metrics, and simplifying the complexity of video advertising while maximizing ROI.